We’d love your help. 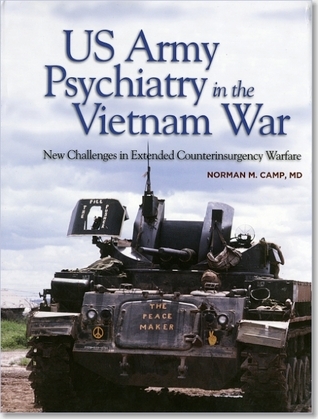 Let us know what’s wrong with this preview of US Army Psychiatry in the Vietnam War by Norman M. Camp. During Vietnam War (1965-1973), the US Army suffered a severe breakdown in soldier morale and discipline in Vietnam -- matters that are not only at the heart of military leadership, but also ones that overlap with the mission of Army psychiatry. The psychosocial strain on deployed soldiers and their leaders in Vietnam, especially during the second half of the war, produced a wide array of individual and group symptoms that thoroughly tested Army psychiatrists and mental health colleagues there. Mental health professionals, especially psychiatrists in both military and civilian professions, as well as military historians researching the Vietnam era may be interested in this volume. To ask other readers questions about US Army Psychiatry in the Vietnam War, please sign up.